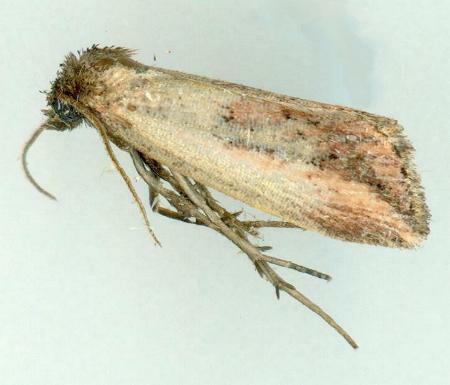 The adult moth of this species has pale brown forewings each with a dark acute streak from base to margin. 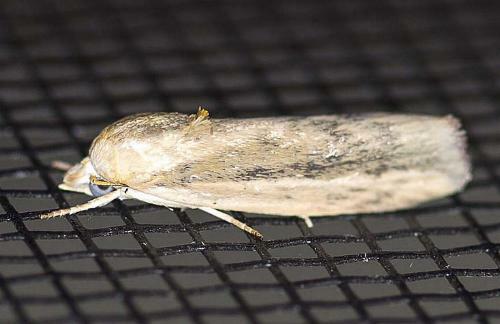 The hindwings are pale brown darkening at the margins. The wingspan is about 2.5 cms. Volume 29 (1905), p. 175.